Performing to critical acclaim celebrating their 20th anniversary year in 2017 and over 2600 shows, Dark Star Orchestra continues the Grateful Dead concert experience. Their shows are built off the Dead’s extensive catalog and the talent of these seven fine musicians. 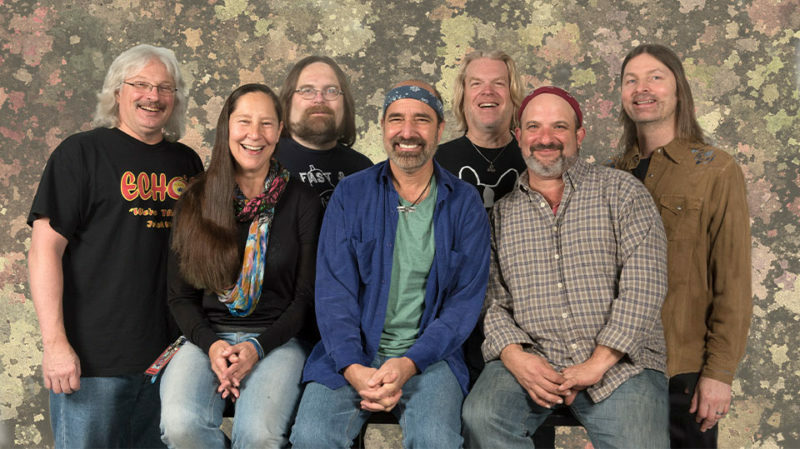 On any given night, the band will perform a show based on a set list from the Grateful Dead’s 30 years of extensive touring or use their catalog to program a unique set list for the show. Dark Star Orchestra offers much more than the sound of the Grateful Dead, they truly encapsulate the energy and the experience. It’s about a sense of familiarity. It’s about a feeling that grabs listeners and takes over. It’s about that contagious energy… in short, it’s about the complete experience and consistent quality show that the fan receives when attending a Dark Star Orchestra show.